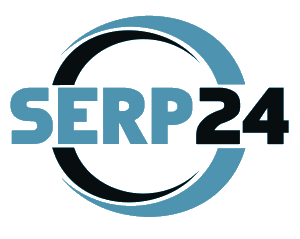 SERP24.com is an organic search traffic exchange network. Invented to increase your SERP CTR on Google. It's a a crowd-sourced searching network were website owners can get real human keyword based visits. Become a click member and earn on each finished task. You can then offer the earned points on the SERP exchange to buyers or sell them to our system for a fixed price. And sins we don't sell points, is the demand very high. Our crowdsourced SERP click network will raise the click through rate of your SERPs. Our organic search traffic system has been specially developed for this purpose. Nearly 60% of all clicks goes to the first 3 search results on Google. Take advantage of our organic search traffic system and get a place in the top3 at Google within a short time. Your Keyword will be searched on Google by our click members. They will get paid per click, based on the country of their IP address. We track all clicks through our browser extensions (Compatible Browsers IE10, IE11, Firefox, Safari, Opera, Chrome, Edge). We also provide Negative SEO for your competitor within the search task. You can raise your Alexa Rank, just choose AlexaToolbar Users. We also provide Backlink Traffic, just choose a URL were you link is on. Our system gives you direct control over your SERP CTR's. Furthermore, our organic search traffic also has a possitive influence on your MOZ Authority and Alexa Rank. You will not find such a unique service again. We are the only provider for high quality organic search traffic on WWW. We have no competition! The organic search traffic network and it's partners, offers the largest service range for different search traffic and ranking traffic opportunities. All services listed on our site are protected through a secure https memberarea. All data and correspondence will not be passed on to third parties. All members in our traffic network, are verified and were through a security check. You can be sure that all members are real human and no fakes. After you logged in, you will be able to place new campaigns, track previous ones or/and start to earn some money or boost your SERP CTR's. Due to the high demand, we had to temporarily close our system for new registrations. Of course, we would also like to give you the opportunity to improve your SERPs with our system, or to improve your earnings by visiting pages in our organic search traffic network. If you leave us your email address, we'll let you know when we open our system again - to ensure you do not miss it again. We'll never pass your email on to outsiders, and you won't get any spam from us. That is a guarantee! There will only be those free slots. So you better be there, when we open for new registrations! If you have any query, feedback or proposal, I would really like to hear from you. Please contact at any time and I'll get returned to you within 24 hours.